Rajputana or Rajpootana was the earlier name of the state of Rajasthan of Indian Union till 1949 AD. The word “Rajputana” is directly related to the valiant Rajput warriors who are the natural masters of this land for centuries. The Hindu Kshatriya Rajput rule was established thousands of years ago in the region, since then the generations of Rajputs are protecting the motherland from the evil eye of enemy. There is a misconception about the etymology of word “Rajputana”, many writers have mentioned this as a modern word first used by Britishers only. But in the local Rajasthani dialect it is a well known and old word at least 700 years old. The Britishers had given recognition to this word in the larger world by naming the territory as “Rajputana Agency” for administrative purposes. Jaipur, Jodhpur, Bikaner, Mewar, Shekhawati were the largest territories of unified Rajputana. Not all but most of the big small rulers of Rajputana were Rajputs of different clans, the only exceptions were bordering Bharatpur and Dholpur states, both of these were ruled by the Jats. Due to the size and Geo-diversity of the Rajputana territory, the rule was distributed among different Rajput clans mainly the Kachhwahas, Sisodias and Rathores. Very important to mention here is about the Chuahans who were ruling the land singly during the Prithviraj Chauhan’s era. The Rajput rule left a strong impression on the cultural and traditional life of the people of Rajputana or current Rajasthan. The land is full of the folk lore and tales of the bravery and steadfastness of Rajputs. Every place and person have something to add upon the history of Rajputana. At the same time spirituality was also at it’s peak in the Rajput era. Meerabai is just an example of that. The other very much visible classic sculptures of Rajputana are the magnificent Forts and Palaces built by the Rajput Kings. There are many, in fact countless buildings were built by Rajput rulers of Rajputana. Few of these are on hill tops then other ones are in water bodies(lakes) then few other in middle of the Thar Desert. The Rajputana agency formally consolidated in Indian Union in year 1949 and re christened as Rajasthan, At present Rajputana is known as Rajasthan in literal meaning the land of Rajas or the Rajputs. Rajasthan forms the largest state of India at present. 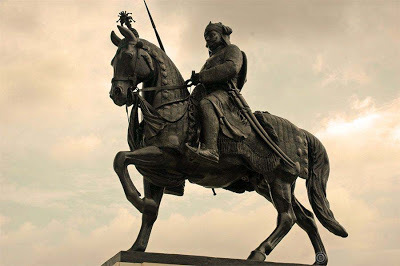 Awesome history of Rajputana which i was anxious to know the history and parts of Rajasthan. Can I use your Blog data in my Site? On a condition of back link from your website to the original articles.